FRANKFURT -- Tesla Motors has agreed to buy Germany's Grohmann Engineering, which develops automated manufacturing systems for batteries and fuel cells, as the automaker seeks to expand its production more than six fold by 2018. Tesla is seeking to raise its global manufacturing capacity to 500,000 vehicles in 2018 from an expected production rate of about 80,000 this year. Its main production facility is in Fremont, California. "To date, we have increased the production rate at our Fremont Factory by 400 percent in four years, and we expect this acquisition to accelerate that growth rate," Tesla said in a blogpost. Unlisted Grohmann Engineering, based in Pruem, Germany, has helped Tesla rivals Daimler and BMW Group build production facilities for electric car batteries. Following the acquisition, which still needs to be approved by the cartel authorities in Germany, several elements of Tesla's automated manufacturing systems will be designed and produced in Pruem, close to Germany's border with the Netherlands and Luxembourg. The deal, whose financial terms were not disclosed, is expected to add over 1,000 engineering and skilled technician jobs in Germany over the next two years Tesla said in its blog. Grohmann currently has around 700 employees. Tesla agreed on Sunday to buy a 74.9 percent stake from company founder and majority owner Klaus Grohmann, and a further 25.1 percent stake belonging to private equity firm Deutsche Beteiligungs AG (DBAG), DBAG said in a statement on Tuesday. DBAG said it expected to earn in the mid-single-digit million euro range by selling its stake in Grohmann and that Grohmann had revenues of 123 million euros ($136 million) in 2015. DBAG said Grohmann had developed production lines for battery cells and batteries for "numerous" German and international automobile manufacturers. Grohmann was also specialized in the industrial production of fuel cells, DBAG said, and was active in the electronics and semiconductor industries as well as the biotechnology and medical technology sectors. 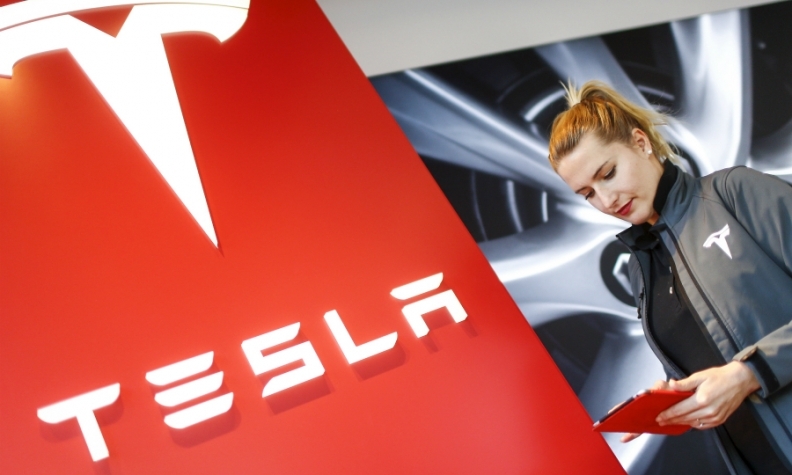 Grohmann Engineering will be renamed Tesla Grohmann Automation after the deal and will serve as the initial base for Tesla Advanced Automation Germany with other locations to follow, Tesla said.